Damage estimates from this fire currently rest at around $140,000. This fire is the result of an unspecified electrical fire within the attic space. Early Wednesday morning, shortly before 3:00 am, 911 communications center received calls that their neighbors roof was on fire. As Engine 5 arrived to 4800 Buckeye Road, they could see flames burning through the roof. They also noticed flames coming out of the front window, which was extending into the eaves and attic area. Engine 5 attacked the fire from the outside and knocked down the fire some, then went in the front door with that line to attack the fire from inside. Engine 14 brought another line and assisted with the attic fire from the outside while Engine 5 attempted to pull ceilings to get more water into the attic. Crews continued to fight the fire, hitting the hot spots and overhauling the home to be sure the fire was out. 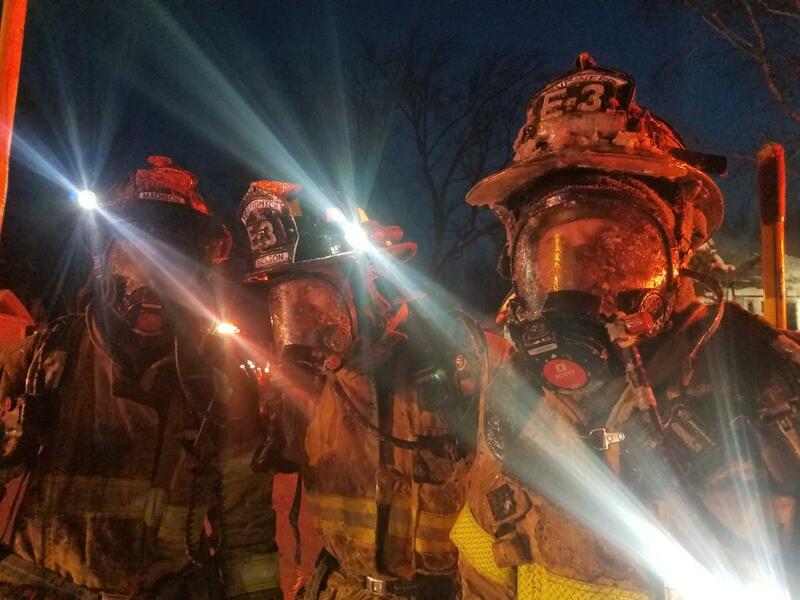 With bitter cold temperatures, fighting the fire was met with several challenges. Firefighters SCBA’s (air packs), face pieces and equipment was freezing up. The crews would rotate in a metro transit bus to help keep the firefighters warm and thaw out their gear and equipment. A lone male occupant and a cat were able to exit the home without any injuries. A firefighter found a second cat in the basement, which was unharmed. 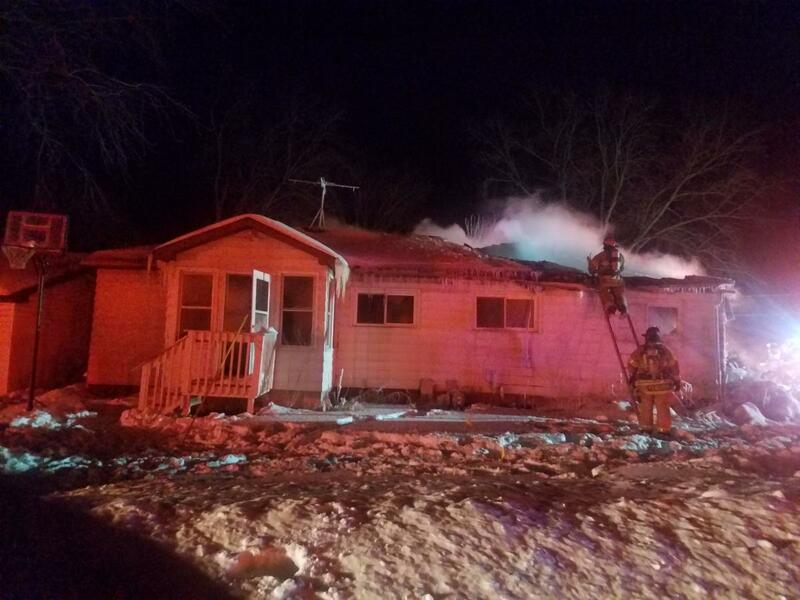 The home was heavily damaged from fire, smoke and ice. The occupant has homeowners insurance. Fire investigators are on the scene to determine the cause of the fire.